In line with its commitment to foster innovation in its category and continue to be an icon of true Filipino strength, Asia Brewery Inc. launches Cobra +Plus Vitamin C.
Cobra +Plus Vitamin C Defense focuses on health and productivity as Filipinos today aspire to pursue and achieve more in a day. Packed with 700mg of Vitamin C and a delicious orange taste that makes the perfect combination to match your daily grind, this variant was developed with the satisfaction of Filipinos’ daily energy fix in mind. This is the ultimate immunity defense in an energy drink bottle, served to strengthen the body for the daily hustle while one actively pursues its passion in the best health condition possible. As active lifestyle becomes a more popular choice among today’s busy individuals, sustained energy and immunity defense become top priorities when choosing a daily partner drink. 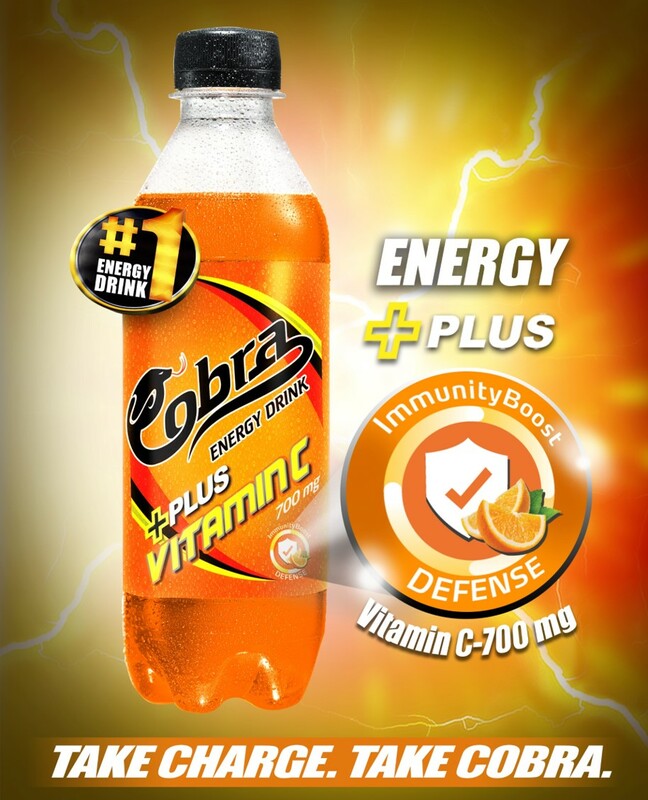 This is what Cobra Energy Drink is committed to be as they launch Cobra +Plus Vitamin C Defense – the perfect partner for every Filipino that assures they are in their best shape, as they pursue an active lifestyle. “Earning the titles best-selling and number one energy drink is both a milestone and motivation for us. 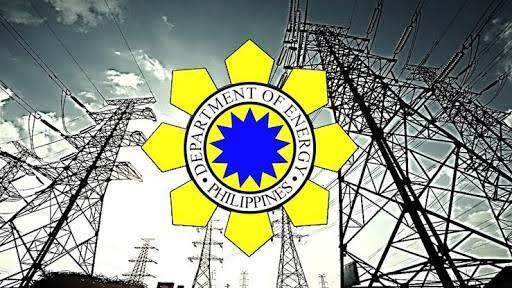 For years, we have continuously strived to cater to the market’s different energy needs and strived to be better at giving Filipinos the value they deserve. We continue to offer products that we believe can enhance their daily activities and, ultimately, add significant value to their lives,” Marketing Manager- CSD Dan Ong shares. The country’s best-selling and number one energy drink Cobra has three other variants that serve the Filipino’s varying energy needs – Cobra Original and Cobra Berry for instant energy, Cobra Fit with ActivBurn technology plus L-Carnitine to burn calories and Cobra Smart with ginkgo biloba for instant brainergy. Celebrating 33 years of honor, unending camaraderie, and scholastic excellence, UP Aggregates, Incorporated, the premier academic and duly recognized organization for Civil Engineering students in the Institute of Civil Engineering of the University of the Philippines - Diliman, brings you the 6th Intercollegiate AggregatES Quiz this coming January 26, 2019. The Intercollegiate AggregatES Quiz or ESQ is an annual competition that aims to test the knowledge and expertise of engineering students from different colleges and universities in various fields of engineering sciences. The competition is open to students taking up any undergraduate Engineering program. Each participating school can send at most three (3) teams comprising of three (3) bona fide Engineering students each. The teams will battle in four rounds of Engineering Science questions covering Engineering Mathematics, Statics of Rigid Bodies, Dynamic of Rigid Bodies, Mechanics of Materials, and Fluid Mechanics. The top three teams after the final round will receive cash prizes of Php 50 000, Php 20 000, and Php 10 000 for the Champion, 1st Runner-Up, and 2nd Runner-Up respectively. They will also receive medals, plaque, and certificates of recognition. Throughout the years, ESQ has provided an avenue for the holistic development of its participants by developing their competence as well as their values of teamwork, fortitude, honesty, and camaraderie as future Filipino engineers. For interested schools or participants, you may register now at tiny.cc/esquiz2019registration. Regular Registration will end on January 18, 2019. 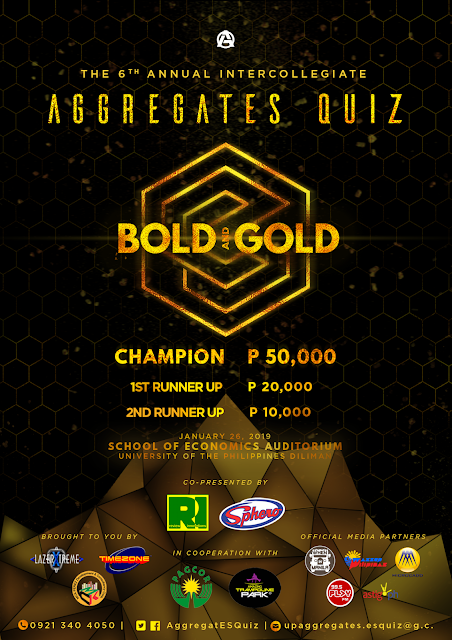 For inquiries, email us at upaggregates.esquiz@gmail.com or text us at 09213404050 (Jeffry Ramonida). Through the years, the Department of Advertising and Public Relations of the Polytechnic University of the Philippines has been conducting events as a platform for its students to build their event management skills, showcase their talents, and create linkages with potential employers. 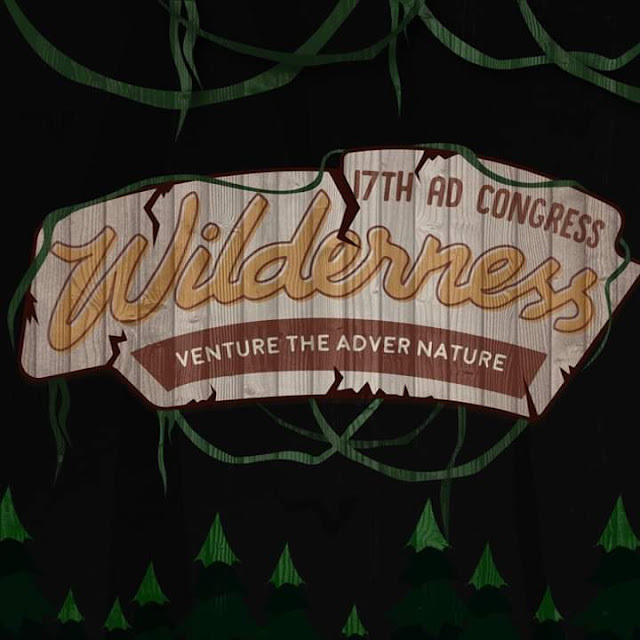 This academic year, the senior students of the Department of Advertising and Public Relations, will hold its 17th Advertising Congress this coming January 24-25 2019, at the PUP Theatre College of Communication Building. This event will be focusing on the survival in the venturesome nature of Advertising and Public Relations. 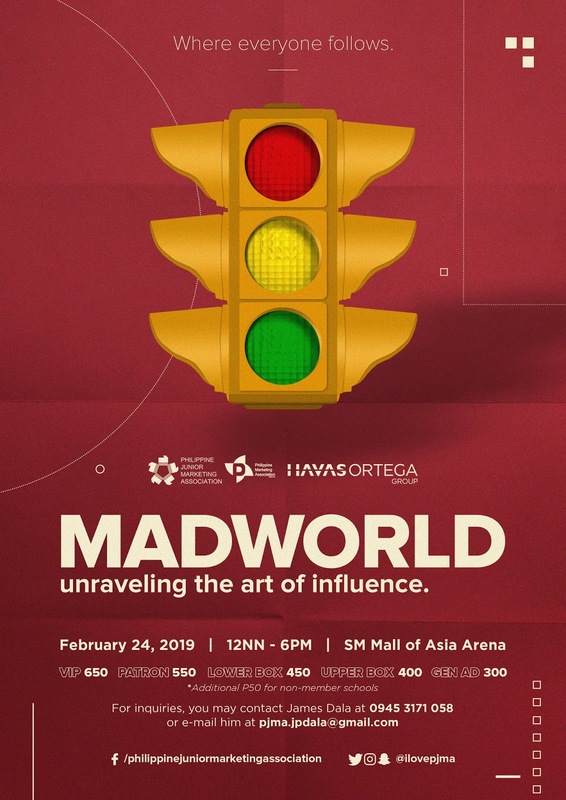 And for the year 2019, 3 teams will take a lead for their awe-inspiring talks from their different guest speakers in the field of Advertising and Public Relations, travelling their seminars creative as they are by presenting respective theme such as 4-1D “Th1nkaD” Talks about “WAYS TO ACE THE ADVERTISING MAZE” 4-1N “as1Ntado” Talks about “LUMIERE: UNVEILING THE LUMINOUS WORLD OF PRODUCTION” and 4-2N “tech2Nic” KING OF THE JUNGLE: DEFENDING BRANDS IN THE REALM OF PREDATOR. Wazzup Pilipinas, Light TV, The Philippine Catalog, Inquirer Pop, WhenInManila, Adobo Magazine, Class a magazine, Blog-ph.com, Rakista Radio, Business Spark Up and Take off Philippines. In celebration of the Chinese New Year in the Philippines, the Philippine Philatelic Federation, the umbrella organization of stamp collectors in the country, in partnership with Pilipinas Philately of the Philippine Postal Corporation (PHLPost) will hold a stamp exhibition entitled “Spring”, a voyage to the lunar years this coming January 21 at the lobby of the historic Manila Central Post Office building. PHLPost will exhibit special stamps previously issued to celebrate the 12 animal signs on the Chinese Zodiac. It features a 12-year cycle with each year represented by a specific animal. The celebration marks the start of spring on the Chinese calendar from January to February. 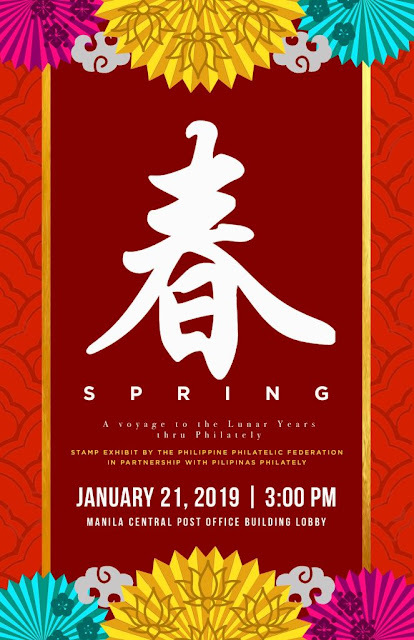 PHLPost will showcase how beautiful and preserved the Chinese culture in the country through this miniature pieces of art called “stamps”. The Chinese Lunar New Year on February 05, is popularly celebrated not just in Asia but throughout the world. Unlike the western celebration of New Year on January 1st, the date of the Chinese celebration of the New Year vary according to Chinese lunar calendar, but generally fall on a day between January 21st and February 20th in the Gregorian calendar. The Chinese Zodiac is about symbolically doing away with the old of the previous year and ushering in health, good fortune, prosperity, and happiness for the coming lunar year. 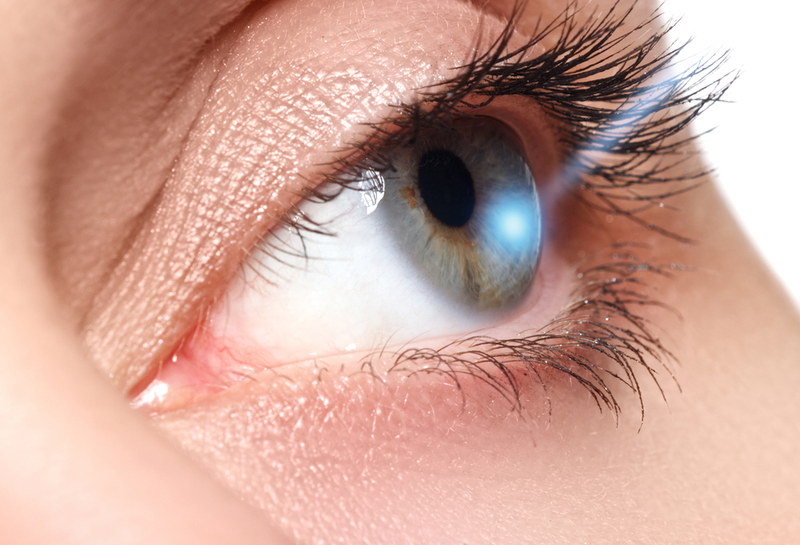 The Chinese cultural influence has been recognized in the country, from eating Chinese food, talking to Feng Shui experts for good luck, as well as reading their Chinese horoscope. Highlight of the exhibit is the PHLPost’s 2019 Year of the Pig stamps issued to celebrate the New Year.